How to Manage Your Workforce. In every organization, the ability for managing your workforce in an efficient, fast and smart way can significantly improve your business in terms of profit and productivity maximization. One the best ways to ensure you’re getting the most from your organizational staffs, and also to discover some other better ways to manage your team’s working hours, is to integrate an employee time and attendance system into your organization. I won”t forget a say that, “time is money”. The reporting time machine empower you with information of real time decision making capabilities so you can easily convert data into actions and valuable information. According to research that we carried out before this post, organizations without an accurate automated time and attendance solution machine tend to overpay employees by 1.5% to 10% of gross payroll for a simple reason of time theft and error driven during calculations, this has lead to lost of billions worth of money each year in such organization. For a company with 10 employees, that can amount to more than a twenty million naira a year accurate time and attendance machine will help a long way, in eradicating calculation errors by helping in accurately calculating hourly totals and automatically do the application of overtime policies accordingly, and also maintenance in compliance with labor law. with your employee time machines your gain visibility, of your Enterprise reporting/statistical analytical features which empowers, you with information on real time decision making capabilities so you can easily convert data into actionable,and valuable information. Another way to manage a workforce is by creating an instant access to managers and executives to reporting, query, and analysis, these tools enables your organization to be proactively manage in terms of business needs, instead of carrying papers from one office to another or just reacting to them. BENEFITS OF USING OF USING EMPLOYEES TIME MACHINE. Improve employee productivity: when an employee knows the danger of keeping his job by keeping time, he or she will do everything to avoid query or even sack letter, by being punctual, and also on time. Avoids the hassle of auditing paper based employee time cards: with the time machine recording and computing everything accurately, the organizational auditor will be less relived in so paper jobs. The employees time machines, eliminate the need to calculate vacation, sick and other paid time off. The employees time machine is a plug and play device. Access anytime, and from anywhere using a web browser. since the machine is a cloud base equipment, the maintenance is therefore cost wise. Identify & eliminate time theft by providing security to avoid, (early in, late out, & buddy punching), by bad employees. Export and runs down time totals in minutes to all payroll providers and software. The first basic, and most critical step is the ability to collect time data fast & accurately. 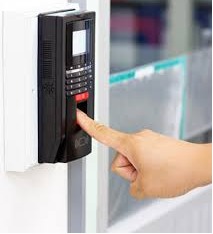 When buying a time machine therefore you will need to choose from a wide array of fingerprint, smart card, pin entry, PC or mobile employee time clocks machines. And great to bring awareness that attendance solution machine tend to overpay employees up to 10% of gross payroll. It's crazy how much money business can lose if they aren't managing their workforce! this is amazing technology that indeed increase productivity as brings efficiency on management and employees.